UPDATE 12.00pm: More than 120 passengers on the Cairns Tilt Train which collided with a utility in Rockhampton early this morning were unharmed. 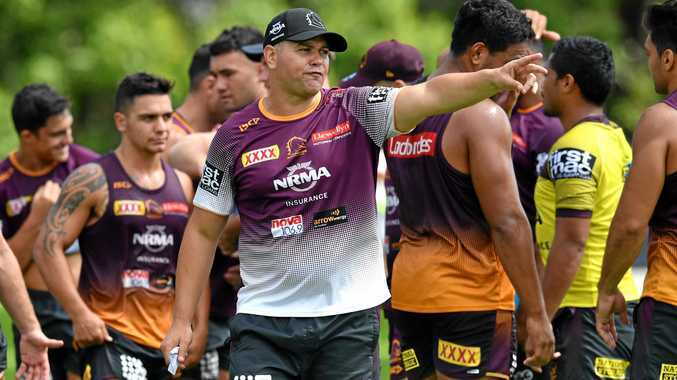 Queensland Rail confirmed that some 120 passengers and staff on the train were conveyed from the collision site on buses to their destinations, with some still enroute to Brisbane. The Morning Bulletin understands the 17-year-old utility driver is still in Rockhampton Base Hospital awaiting surgery. UPDATE 5.45am: Three men have been taken to Rockhampton Hospital after their utility slammed into the Tilt Train in Rockhampton early this morning. 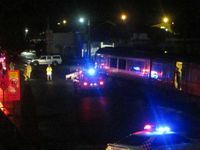 Around 2.10am, the car was heading south along William Street when it entered the intersection with Denison Street and was struck by a train. As a result of the collision the car was dragged for 30 metres before coming to a stop. The 17-year-old vehicle driver sustained a broken arm and other non-life threatening injuries during the crash while his two passengers, aged 16 and 20, received only minor injuries. None of the train's occupants were injured during the incident. The road was cleared by 3.45am and investigations are continuing into the incident. UPDATE 3.40am: QR staff are checking the Tilt Train for damage after removing a crushed utility from the front of the engine in Rockhampton. Passengers are expected to be moved onto the Rockhampton station platform in the next 5 minutes and then onto chartered coaches for transport to southern destinations. BREAKING 3am: A work utility has collided with the Tilt Train in Rockhampton and the vehicle remains trapped under the front of the driver's engine. The accident happened about 2.15am on the corner of William and Denison streets, outside O'Dowd's Irish Pub. The utility appears to have collided with the front of the southbound diesel-powered train and been dragged about 30 metres before the train came to a halt. Initial reports from the scene suggest the driver of the ute has escaped with minor injuries. There are initial no reports of injuries to passengers and QR staff, including the train driver.